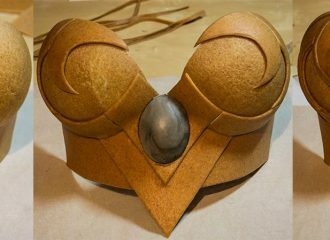 Worbla Thermoplastics | Thermoplastics for craft, cosplay, and anything you can imagine! 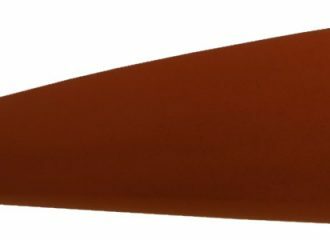 Worbla is a brand of innovative, non-toxic (conforms to ASTM D-4236*) thermoplastics designed to give artists a product that allows endless creativity without sacrificing quality or safety. 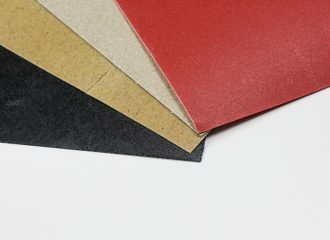 Ever evolving, the Worbla line of thermoplastics offers something for everyone with an easy learning curve, 100% recyclable material and wide range of applications. 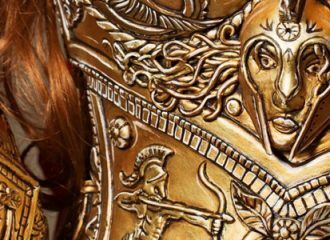 Worbla products have been used internationally, from Disney to Star Trek to Cirque du Solei, stage to screen, by crafters, cosplayers, sculptors, schools and architects – and the list grows every day! 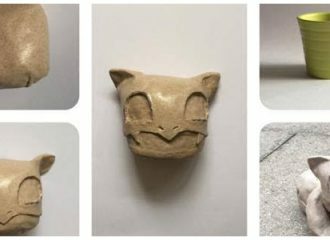 Completely new to Worbla and want to see how it can be used? Check out our Complete Beginners Guide Here, our Instructions page here, and our page of basic projects and tutorials here. Interested in learning about our products? You can find our product line here. We also have our own Twitch channel and over 200 Tutorials to help show what Worbla can do. Worbla’s Finest Art is the first and original thermoplastic of the Worbla line. 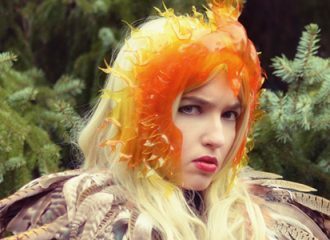 Introduced in 2014, Worbla’s Finest Art has been taking the costume and crafting world by storm. 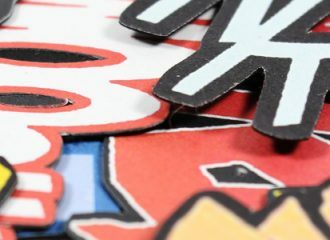 Easy to use, non-toxic, self adhesive with no limit to how many times it is activated, it’s easy to see why Finest Art has quickly become a staple in many workshops! 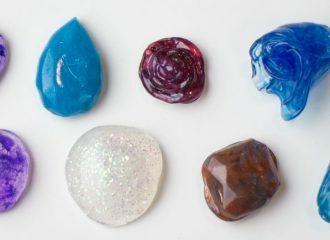 TranspArt is Worbla’s option for those looking for a resilient, non-toxic and solvent-stable clear plastic that can be hand shaped and vacuformed with ease. 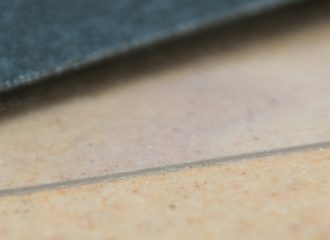 Lighter than acrylic sheeting and more durable than PETG, TranspArt is completely resistant to cracks, fractures and shattering under pressure, maintaining a unique flexibility that returns to form when bent. Worbla’s Black Art has been designed with artists and builders in mind, with a finer surface texture to give a smoother finish than Finest Art. Black Art is able to take fantastic detail for sculpting, can be rolled and cut down as thin as 1mm in thickness, and the finer texture shortens the time spent priming for a smooth finish. When it needs to be strong: Mesh Art is similar in many ways to Finest Art, but features a one-sided mesh for fantastic strength. 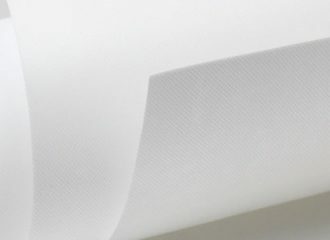 Mesh Art has also been made in part with recycled rice husks, to help our products maintain a sustainable footprint. If you need the properties of Finest or Black Art with twice the strength, consider Mesh Art. A new product specifically designed with theater productions in mind, Worbla’s FlameRed Art has joined our lineup. It’s very similar to the Worbla’s Finest Art that our customers love, but made with a flame retardant component built in, making it an excellent option for Theaters, Schools, and other locations where safety is of the utmost importance. 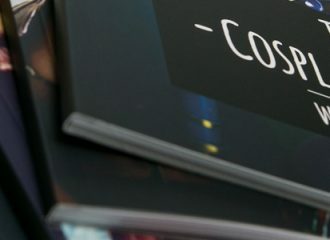 If you’d like to learn more about working with Worbla Products, Kamui Cosplay has a fantastic line of books showcasing her methods for working with Worbla Thermoplastics and foam, as well as books detailing working with LED lights and painting methods. 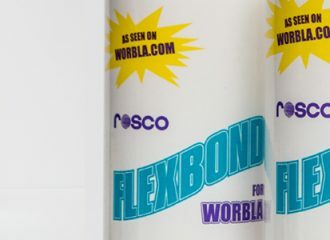 While there are dozens of ways to prime Worbla Products, we personally suggest using Flexbond by Rosco for a fast, nearly indestructible finish. We have partnered with Rosco to offer 16oz bottles in addition to their standard 1 gallon bottles, to help make the product a smaller investment for customers, as well as providing an easier shipping and storage option. 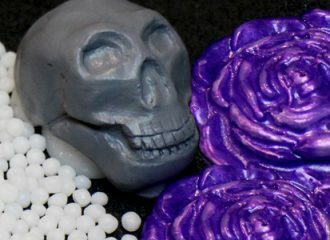 Looking to purchase any of our products? 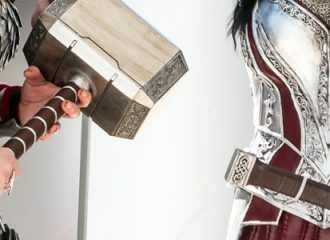 We have more than 60 Storefront Retailers across North America, as well as Cosplay Supplies, our dedicated online retailer. Looking for advice on using our products? 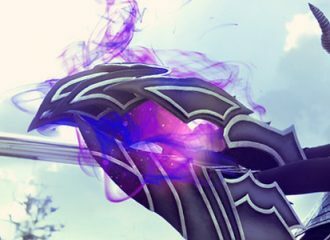 We have helpful tutorials and videos to walk you through everything from the very basics of getting started to creating complex designs and painting your finished project. Updated weekly! Looking for instructions on working with Worbla? We have them broken down into two categories, sheet form and pellet form. 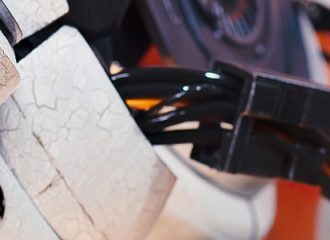 Have a question that hasn’t been answered on our FAQ or product pages? 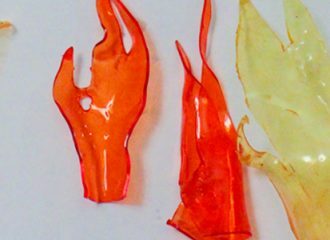 Want to sell Worbla in your store or need MSDS sheets for our products? You can contact us in a few ways. 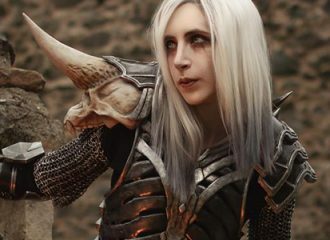 We love to share the amazing work that has been done with Worbla Products and have created these galleries to showcase our amazing customers and artists worldwide and help inspire you to see what Worbla can do! Find our Social Media, Contests and Upcoming Appearances here. Interested in becoming a Worbla Retailer? Find information about working with us here.